Full service backline & instrument rental for any band, any time, any place! Born out of a love for music and technology, AV Vegas was established in 1993. When we began, we could not have imagined some of the creative and complex events and concerts that we have produced for our great customers in Las Vegas. We have been fortunate to work beside some of the greatest artists of our time. "only company I ever use"
"no fires to put out"
"they go above and beyond!" "give you the best show possible"
"first choice for sound & lighting"
It is with great confidence that I extend this letter of for the entire team at AV Vegas. We have had the pleasure of working with AV Vegas for the last nine (9) years on the Rock n Roll Las Vegas Marathon. 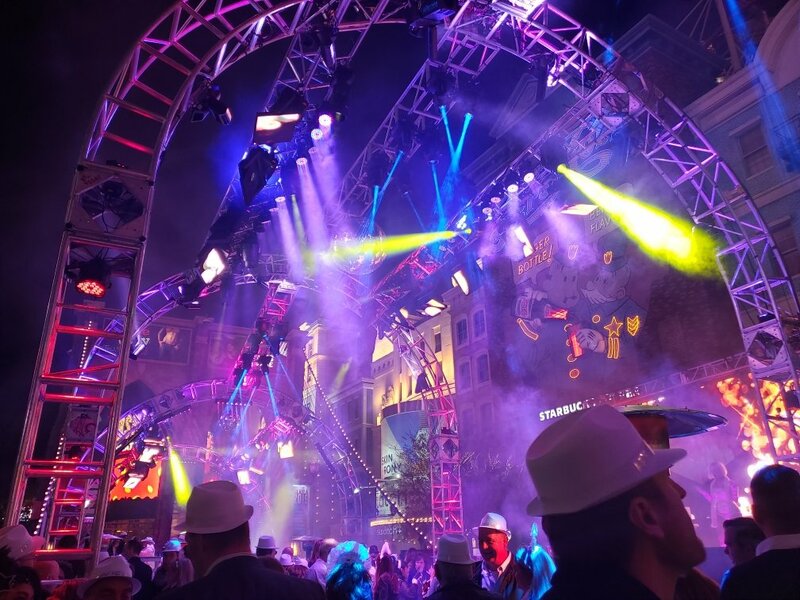 This multi-faceted event includes extensive production and logistical know-how and AV Vegas handles it flawlessly. 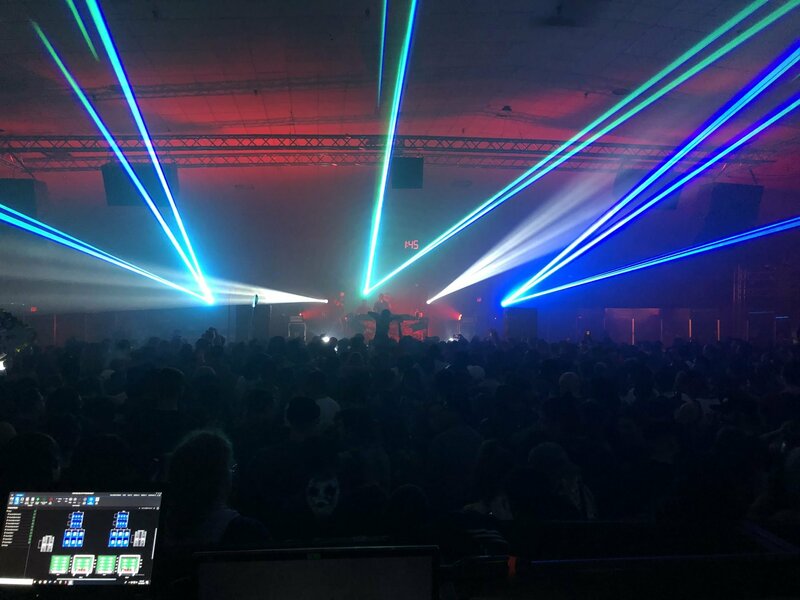 Their depth of sound and lighting inventory, quality of gear and a crew of well-versed professionals sets them above any other production company we have worked with not only in the Las Vegas area, but nationwide. We have confidence in AV Vegas to assist us in all aspect of production for this event. From band stage production along the course, the VIP Party at the Bellagio, the full concert sound and lighting at Main stage at the 5K, they do it all for us. I have also come to find out the past few years that AV Vegas is the “go-to” provider for many of the corporate sponsors in producing their sponsorship activations during this event. We value our relationship with AV Vegas and highly recommend them for any production that you may be considering them for. Please feel free to contact me if you should have further questions or need additional information. Vice President, Operations ENTERTAINMENT SOLUTIONS, INC. I was actually shocked when I arrived at the event site to see how much of the lighting and sound you guys already had installed. In previous years, our previous Las Vegas production company struggled until the last minute and beyond to get all of the sound and lighting operating. When the event opened, my staff was amazed that there were no fires to put out. Needless to say, we were very pleased and would recommend your company to anyone. This letter is in reference AV Vegas in regards to the work they have performed at the Laughlin Event Center. The Laughlin Event Center is a 10,000+ seat outdoor facility that has hosted events from Bull Riding to headline concerts, such as Alan Jackson, Reba McEntire, Hank Williams Jr., Carrie Underwood, Brad Paisley, Rascal Flatts, Miranda Lambert and Deirks Bentley (just to name a few). Since the opening of the Laughlin Event Center in March 2014, AV Vegas has been our primary Audio and lighting production company. We have been very pleased with their work, professionalism, and top quality equipment that they supply. Every Artist that has hit our stage has been very pleased with AV Vegas’ professionalism from load-in to load-out! It is always our pleasure to work with AV Vegas and I wish then the best of luck in all future endeavors. This letter is in regards to concert and event rental services provided to us from AV Las Vegas particularly over the last five years. We use AV Vegas to handle our concert event production on a multitude of events. They can do it all and with incredible world class customer service. From small intimate acoustic performances for forty people all the way up to our signature food and music festival, Bite of Las Vegas, which sees over 15,000 people annually and features a main stage that is constantly going. Bite of Las Vegas generally features eight bands on one stage throughout the day along with interactive content between each of those bands including food judging and cooking competitions, contesting with the audience and performances from various Las Vegas shows like Cirque du Soleil, Blue Man Group and Jabbawockeez. AV Vegas has helped enable us to be able to do this on stage while they are doing set changeovers between bands/artists. Past bands and artists include Ed Sheeran, Matchbox Twenty, Train, Counting Crows, The Script, Colby Caillat and dozens more. My choice to go with AV Vegas is not just because of the wide range of quality equipment they use and enough quantity to go along with it, but also because of their customer service. The people I deal with there on the daily are professional and courteous and ones I am not afraid to have interact with my sponsors, artists, and vendors, unlike many other production companies I’ve worked with in the past. I also opt to go with them over other companies because they are a one stop shop for me. I can rent my staging, audio, lighting and backline all through them and rely on their Production Managers to advance production riders with our bands and artists. It makes things seamless on my end not having to utilize four or five different companies to do this and having to worry about if they’ll all play nice together in the sandbox. I cannot recommend them enough. If you have any questions or would like to discuss anything further please do not hesitate to contact me. We’ve worked with AV Vegas for the past three years now and they have always be amazing! We’re based on the East coast and looking to team up with a local company to assist us with our event. The meeting we work on is a bit different from the majority of what AV Vegas normally does, but you would never guess it for their outstanding performance. The crew is knowledgeable and professional and the quality of their gear is great. They go above and beyond and I really enjoy working with them each year. We’re looking forward to later this year and when we get a chance to do it all over again. Thanks to all at AV Vegas – you guys are the best! This letter is in reference to my experience with AV Vegas as the Director of AV here at the Downtown Grand Hotel Casino. Over the past couple years, I have enjoyed their support on various events here at our property. We most recently worked with them for our Vince Neil Memorial Day music festival on 3rd St., Chris Holloway and Charles Brooks are always a huge help -throughout all phases of our events. They are extremely professional and knowledgeable in all aspects of “pro AV”/live audio events. The AV Vegas crew is always friendly, professional, and a pleasure to work with during events. They are staffed with extremely well qualified professional employees that are passionate about their jobs. Their front of house engineers, monitor engineers, and lighting techs are some of the best in Vegas. All aspects of our productions have been planned and executed precisely with their help. I have never had any issues with any event that AV Vegas has been involved in. In addition to their exceptional professionalism, their pricing and equipment has always been exceptional as well. They offer a vast range of equipment to support any size event. They have always been there to help me any time that I have had a need for last minute/emergency equipment. Their support has been continuous and nothing but dependable. In short, I would most definitely give AV Vegas my highest recommendation to anyone considering a production company for support of any live production event. I look forward to continuing our relationship with AV Vegas for any future needs. Thank you!! I have worked with AV Vegas for the past 2 years and they have really helped us save a ton of money while adding great production value to our shows.. Their entire team is very helpful and they really want to give you the best show possible. We have also used them for repairs and they have been very reasonable. I would suggest anyone looking for good production and rentals definitely checks them out and puts them into the bidding ring. AV Vegas has been our first choice in sound, lighting, stage rental and all things production since we began doing events in Las Vegas. It doesn’t matter what type of event we are producing, nor what are needs are, AV Vegas and their team seem to pull it out every time. Our concerts have always looked and sounded great and our clients are always pleased that AV Vegas will be handling the stage. Many thanks for many events well done.